HEMERA, the name derives from one of the Greek primordial deities, which means personification of day in Greek mythology. 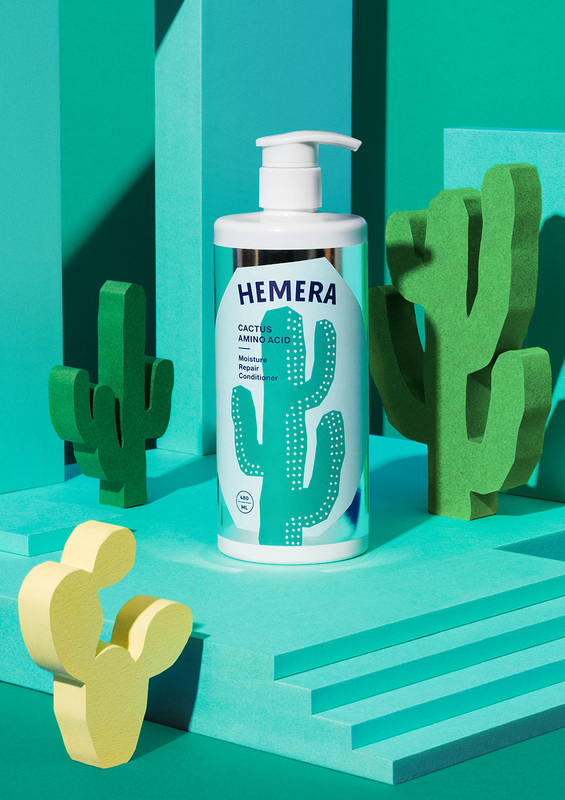 HEMERA believes that the most beautiful hair is while it shines under the sun. 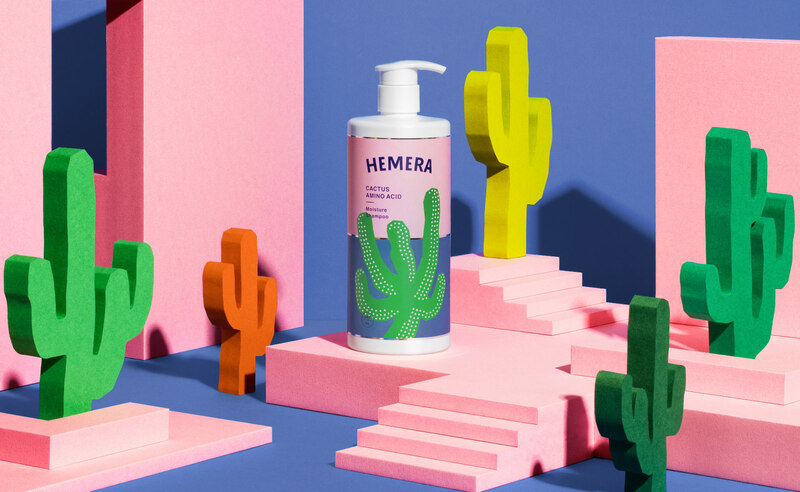 In addition to develop body toiletries for daily cleansing, HEMERA is a lifestyle brand cares about both aesthetic and practicality. 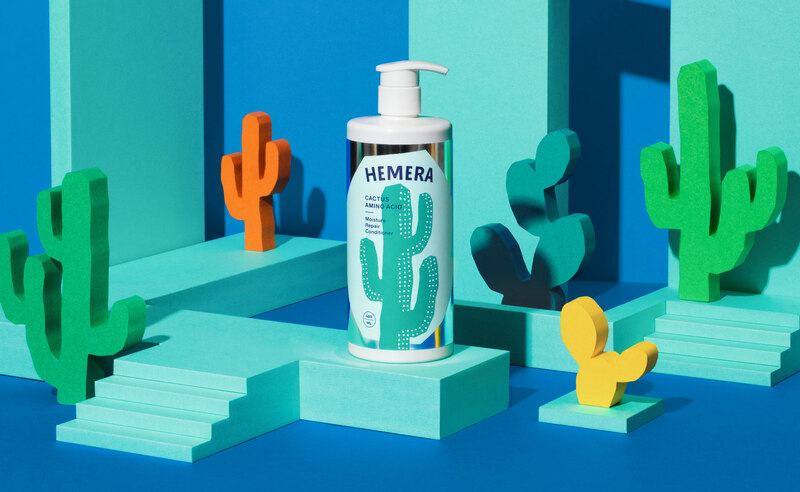 The goddess' hair is the muse of the brand, to give the most comprehensive care and bring healthy luster to hair, HEMERA glows its value from inside to outside. 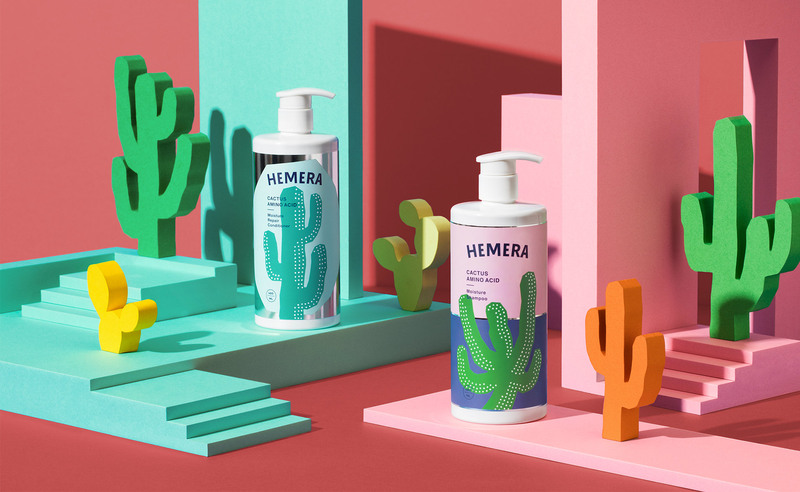 HEMERA builds the core position of the brand with its primary debut product. 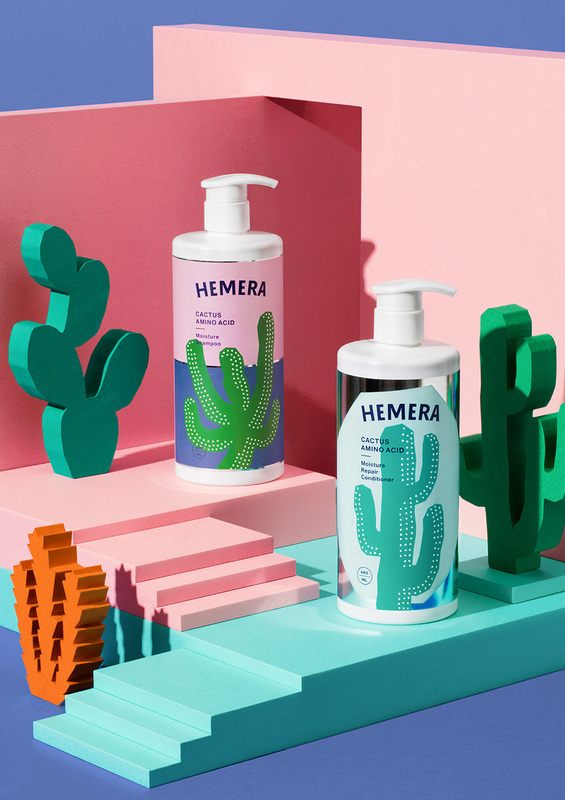 The packaging image of cactus is inspired by the shampoo's main ingredient: the rich cactus amino acid protein. Besides, the idea of paper-cut pattern is followed from the abstract painting style of Matisse, which stimulates viewers with more imagination and creativity. The target audience of HEMERA is the young female between 20 years old. 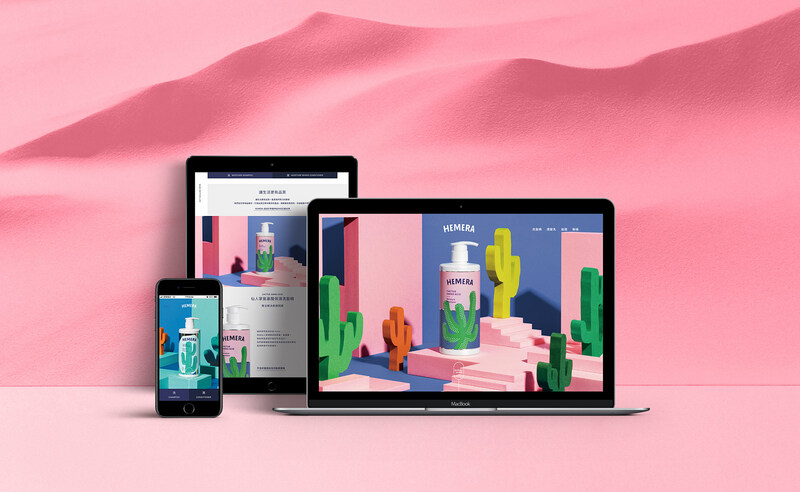 The joyful brand constructs a relaxed, soft, sunny atmosphere by color and font system, conveying the positive attitude of enjoying life.